A lot of my readers have lunch at Backstreet Bistro on Saturdays to hear Linda Peterson perform in the courtyard. 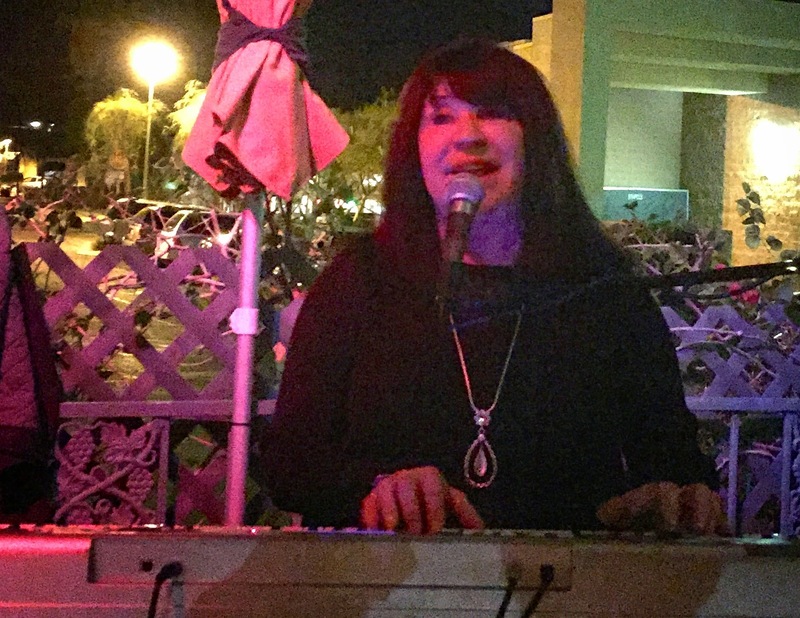 Linda is an extremely talented Keyboard player, Vocalist, Arranger, Composer and all-around good person. That is why she has fiercely loyal fans who turn out no matter where she is performing. 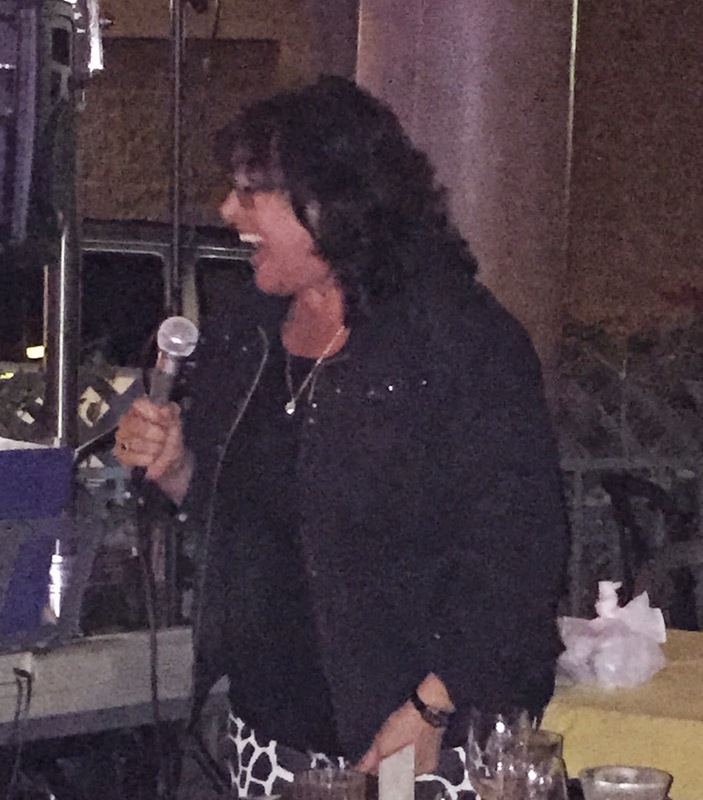 Tonight was Linda's night to shine and she wasted no time singing and playing the music she loves. She became so engrossed with her music that she forgot about even taking a second break. Linda just did not want to leave the stage to the total enjoyment of the capacity crowd at Backstreet. Tonight Linda was supported by rock solid Jay Lewis who usually plays in a quartet with Bill Siatta. Tonight Jay was really rocking and showed us a little more of what he could do. Jay is a marvelous drummer and any Jazz buff would welcome him into any group. He never disappoints! Joining Jay was Kelly Corbin who seemingly keeps getting better and better. I have only seen Kelly playing Jazz in a quartet with Bill Siatta. I like to describe his playing as "Sax on steroids". Tonight, Linda was playing some great ballads from the Great American Songbook and Kelly surprised me with his sensitive riffs and solos around Linda's sweet voice. So Kelly Corbin can play ballads, who knew? the ease of a seasoned pro. Then Linda pulled the great Carole Hampton up to sing some blues which brought the audience to its feet. I never get enough of Carole's singing and always enjoy her when she sits in. 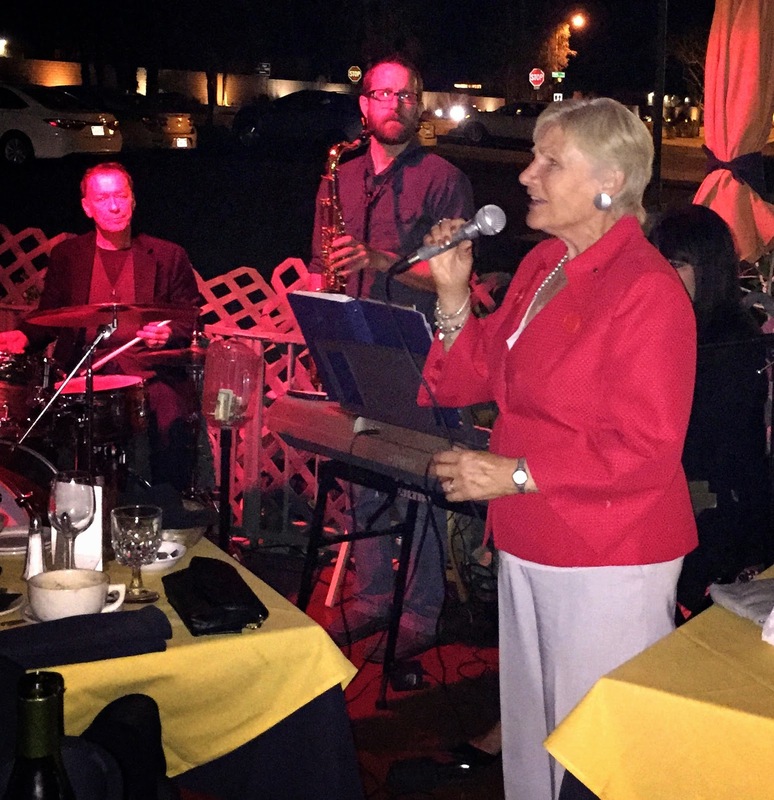 Linda Peterson will be performing again at Backstreet Bistro on Tuesday, February 3!